I've conducted enough interviews in my day to know when somebody is not telling the truth. 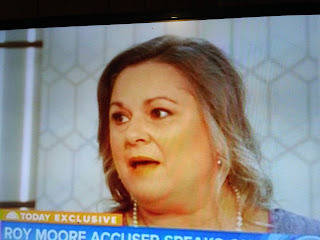 There was nothing in Leigh Corfman's body language on the Today Show that signified truthfulness. Ask any investigator you know and they'll tell you the same. NBC as usual is doing their part to perpetrate a fraud. Remember this is the network that still employs Brain Williams and Al Sharpton. Need I say more?